Laura Schenone's original goal was simple enough: to find her great-grandmother's recipe for ravioli. But things get more complicated as she reunites with relatives and digs up buried family stories. 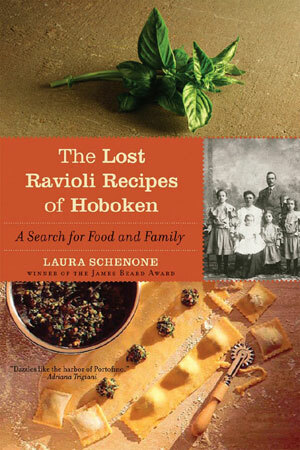 Taking readers from New Jersey's industrial wastelands and fast-paced suburbs to the coast of Liguria—homeland of her ancestors and of ravioli—The Lost Ravioli Recipes of Hoboken is a story of the comedies and foibles of family life, of love and loss, of old homes and new, and of the mysteries of pasta, rolled on a pin into a perfect circle of gossamer dough.